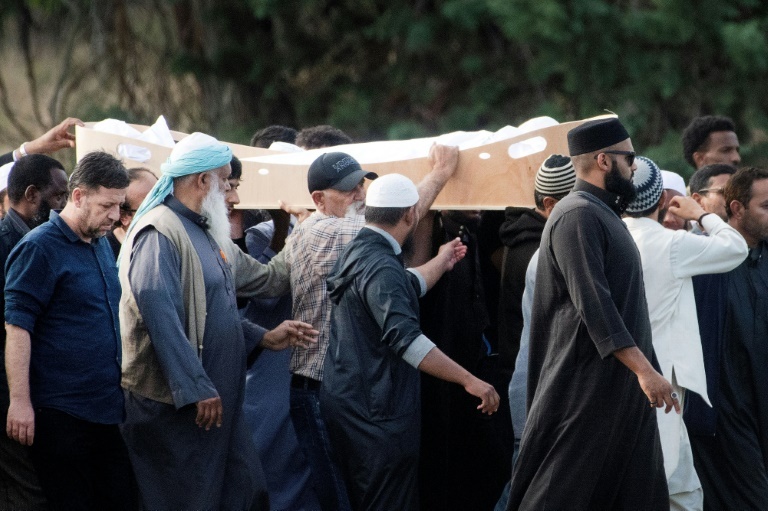 An Australian white supremacist is accused of gunning down 50 Muslim worshipers and wounding many more at two mosques in the southern city of Christchurch last Friday in a killing spree that he live-streamed. Alleged gunman Brenton Tarrant’s use of social media has put the spotlight on extremists’ use of such platforms, and New Zealand’s Prime Minister Jacinda Ardern called on Wednesday for a global “united front” on the issue. Khalid, 44, and Hamza, 15, were shot dead at the al-Noor Mosque, the first attack site. In a rambling “manifesto”, Tarrant had said he was motivated partly by a desire to stoke religious conflict between Islam and the West. Erdogan, while campaigning for local elections, presented the attack as part of an assault on Turkey and Islam and warned anti-Muslim Australians would be “sent back in coffins” like their grandfathers at Gallipoli, a blood-drenched World War I battle. Morrison said he had asked for the comments to be withdrawn.